Milmont sells a variety of ornamental grasses which make lovely borders for gardens and walk-ways. 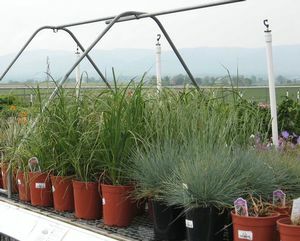 The following ornamental grasses are available at Milmont Garden Center. Due to our continuously changing inventory, you may wish to call us at (540) 943-8408 or e-mail milmont@milmont.com to ensure availability and to check prices.